Evgenia Giannopoulou is a Berlin-based independent curator and research-based artist born in Athens. She studied Literature and completed the Curating programme (Kuratieren) at the University of the Arts (UdK), Berlin. Since 2014 she has realized a series of interactive site-specific exhibitions in various big cities (Berlin, Istanbul, Athens etc.). In 2015, she curated the guerrilla exhibition Communistic Curating – Experiment #1 Berlin: This should have been a group exhibition in collaboration with the Dutch artist Kim Engelen, and from 2016 to 2017 she worked as an art mediator at the 3rd Kochi-Muziris Biennale, Forming in the Pupil of an Eye (Kerala, IN). 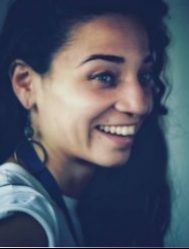 In 2017, she was a curatorial fellow at the group exhibition Summer of Love, curated by Katerina Gregos and commissioned by the Schwarz Foundation (Munich, DE/Samos, GR). In 2018 she worked at Manifesta 12 in Palermo (IT), The Planetary Garden. 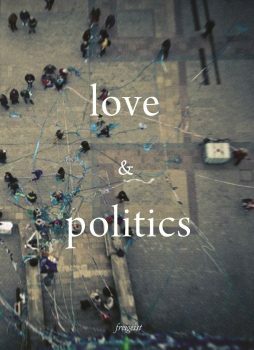 Cultivating Coexistence., and she is currently organizing the public program of the collective book love & politics in Athens, London and Berlin (2018/2019). She is co-founder of the artspace Chaosmos_/79Au in Athens (GR) and member of the artistic collective Vandaloop.